Louisiana is different in many ways. We have parishes – not counties. Because we don’t have counties, we don’t have mayors. We have parishes presidents. After passing through security, we met with our tour guide and photographer. 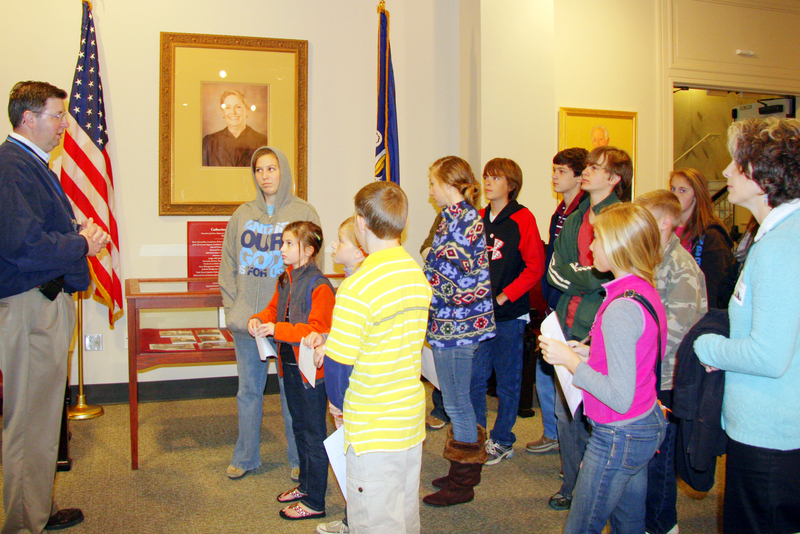 In the museum, we saw portraits of all the chief justices. Louisiana’s current chief justice is Catherine D. Kimball from the Baton Rouge area. She has sat on the Supreme Court since 1992 and as the chief justice since 2009. She is the first woman to hold the seat of chief justice. She suffered a stroke in January 2010 but has recovered and been through rehab. Her portrait is on the wall behind the group. The building was built in 1908-1910. The court was held there until 1958 when it moved to the Cabildo. After extensive renovation, the court returned to the building in 2004. It is located in the heart of the French Quarter of New Orleans. Louisiana is one of only four states that the Supreme Court is not located in the capital city. Original documents from Plessy vs. Ferguson which was the 1892 “separate but equal” law. 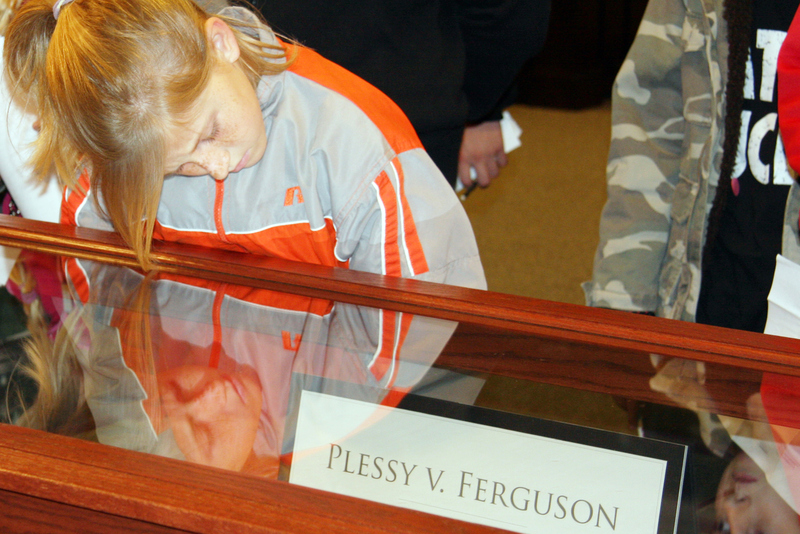 Not until the 1954 case of Brown vs Board of Education was Plessy vs Ferguson overruled. The rare book room was amazing. 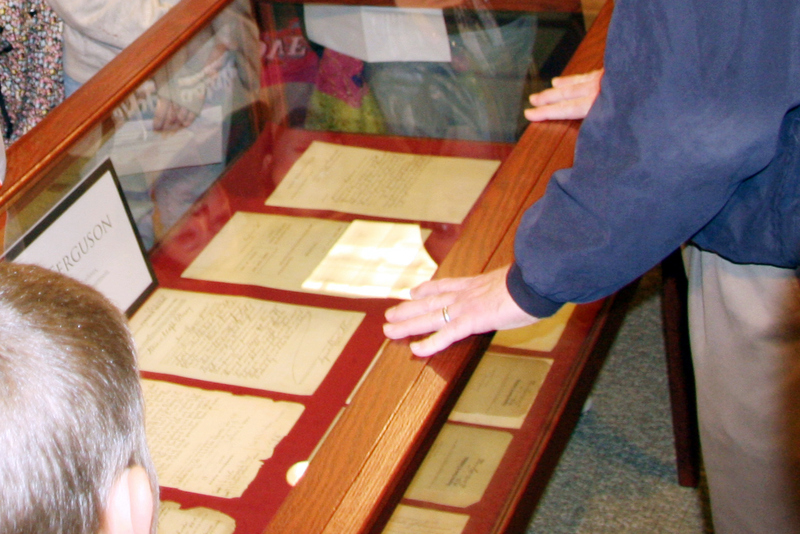 We couldn’t touch any of the book without white gloves on, but I was truly fascinated. This book is the Siete Partidas from 1587 which has Castilian statutory code. 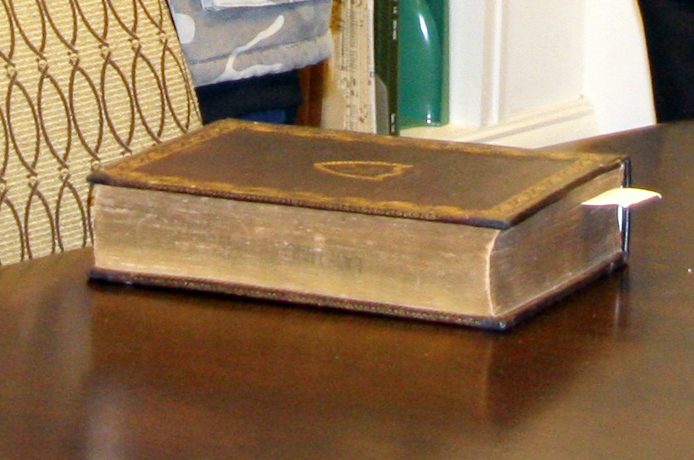 The rare book room also houses one of the two original Napoleonic Codes. Louisiana law is based on the Napoleonic Code. All other states have laws based on the English common law. Any lawyer who wants to practice in Louisiana should go to a Louisiana law school. If they go to law school in another state, they have to take the Louisiana bar exam (even if they have been a lawyer for 50 years) and vice versa. Someone who has been a lawyer in LA would have to take another bar exam to practice in a different state. 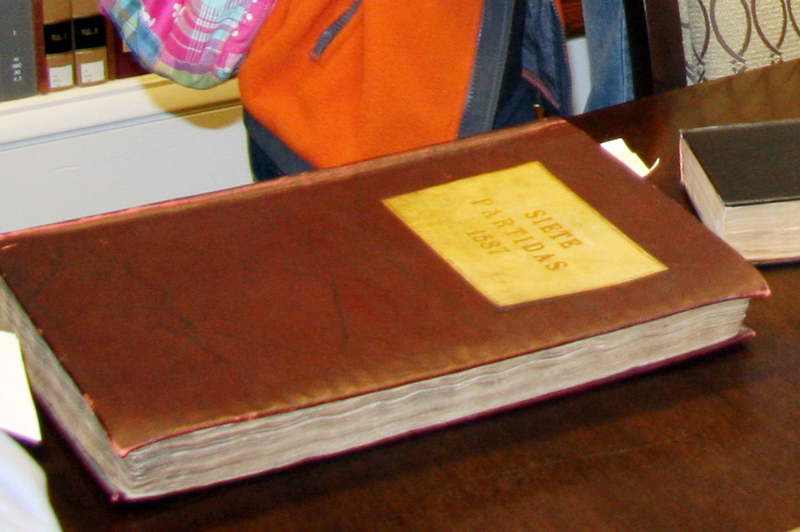 In France, this book is kept under glass much like our Constitution is in Washington, D.C. 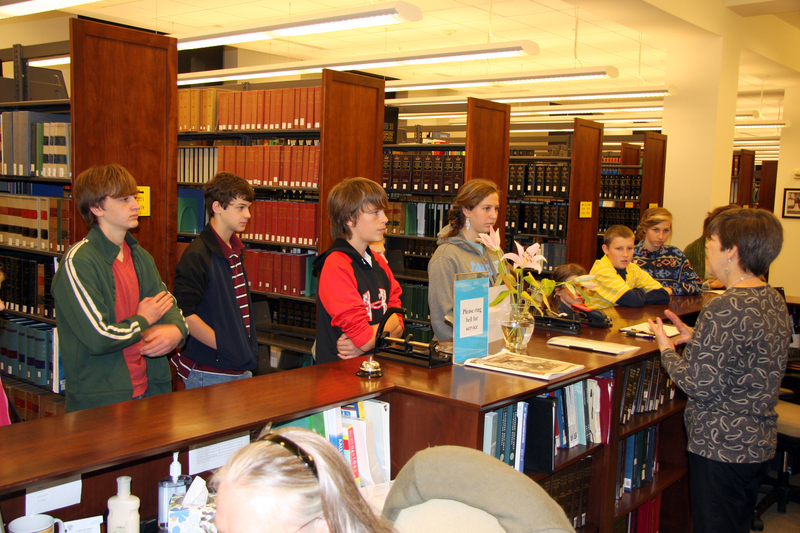 The law librarians took time to talk to our group about library science. The statue in front of the building is Edward Douglass White who is the only Louisiana Supreme Court Justice to become a U.S. Supreme Court Justice. He eventually became the 9th Chief Justice of the U.S. Supreme Court. It was a great field trip. I probably learned more than the kids did. I hope that I got all the facts correct. The information in this virtual field trip are from memory. I make no claim to be an expert in Louisiana law – or any other law. 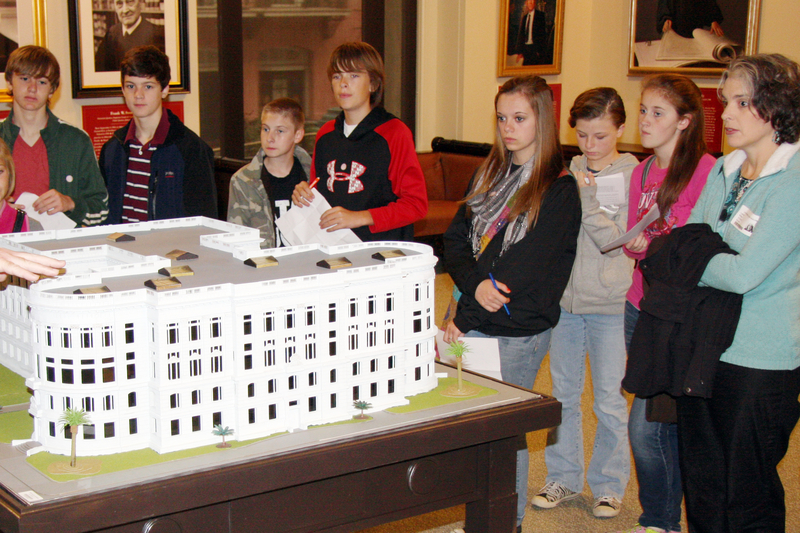 The field trip sparked interest. Lil Sis wants to return to see the Supreme Court when the judges are hearing cases. So we have looked at the docket and will be returning in December. I have warned her that it won’t be as exciting as Matlock, and she still wants to go. I love when they enjoy learning. This entry was posted in Field Trip, homeschooling, Learning!Loving!Living! 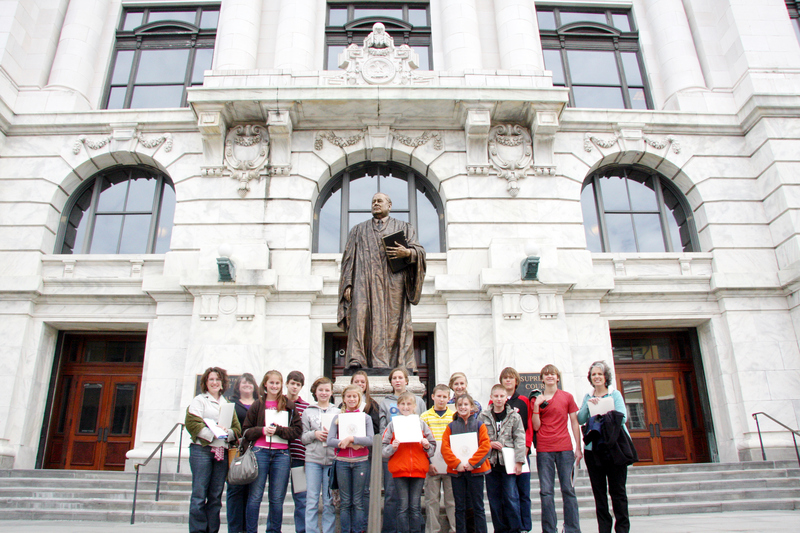 and tagged field trip, homeschool, Louisiana Supreme Court field trip. Bookmark the permalink. Great field trip. I didn’t know Louisiana follows Napoleonic laws I am going to test my husband on this fact and see if he know it. I have never made it to Lousiana but it is on my list of places to visit, esp, New Orleans:) Thanks for sharing on the Home school Field trip hop. Wow..I learned something new from just reading your post Thanks for visiting me at oureducationaljourney.